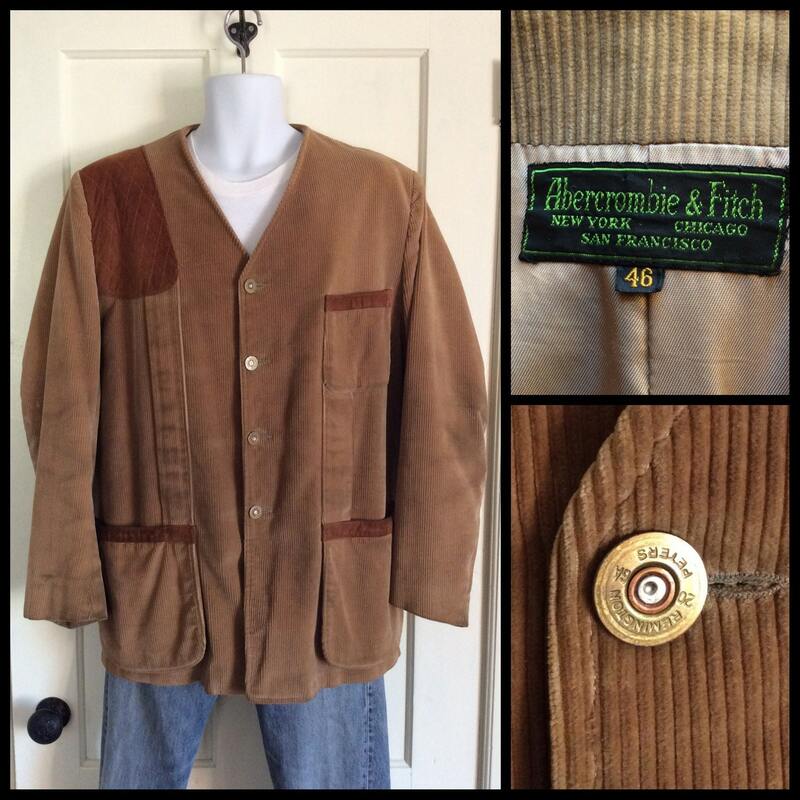 Here's an Abercrombie & Fitch hunting jacket from the 1950's. 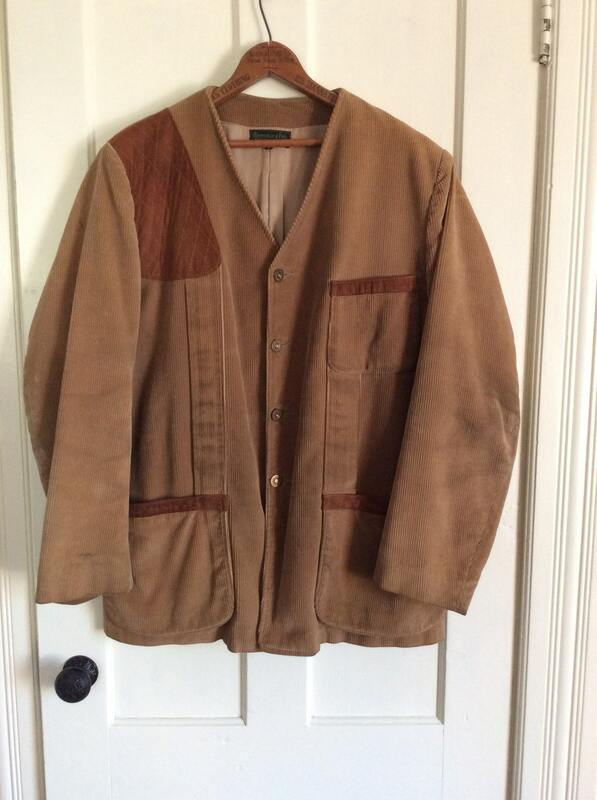 It has Remington Peters 20 gauge bullet buttons. 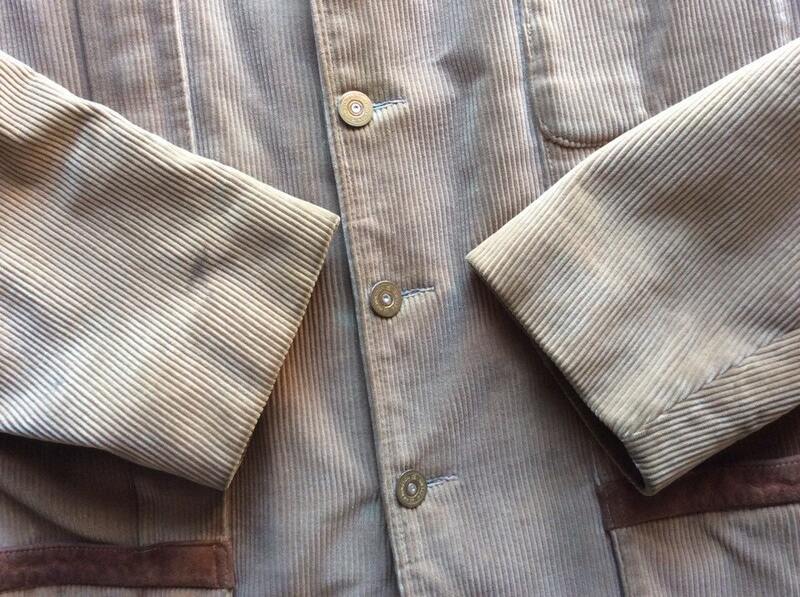 It's heavy cotton corduroy with shoulder pads, 4 front pockets, and suede trimmed pockets and suede shoulder patch. 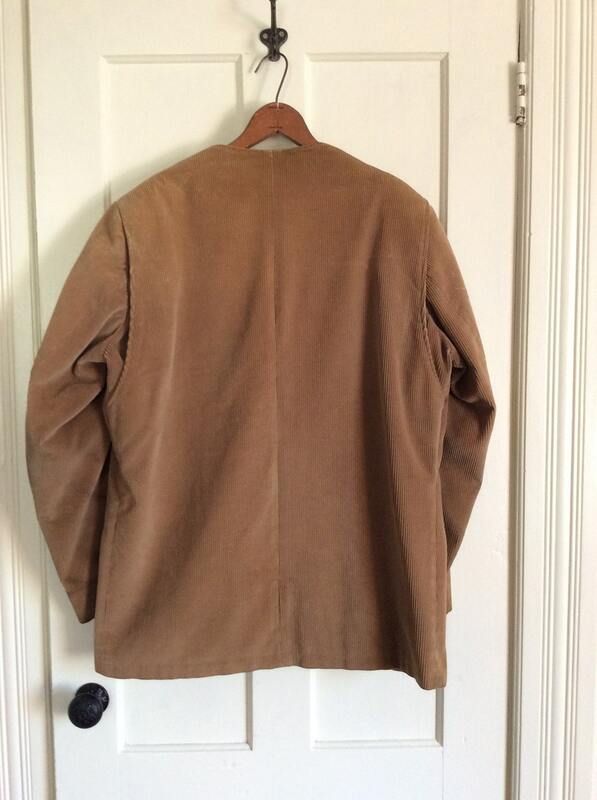 It has some dirt, especially on the back of the sleeves and front. There's a mark on the right shoulder and another by the sleeve cuff. 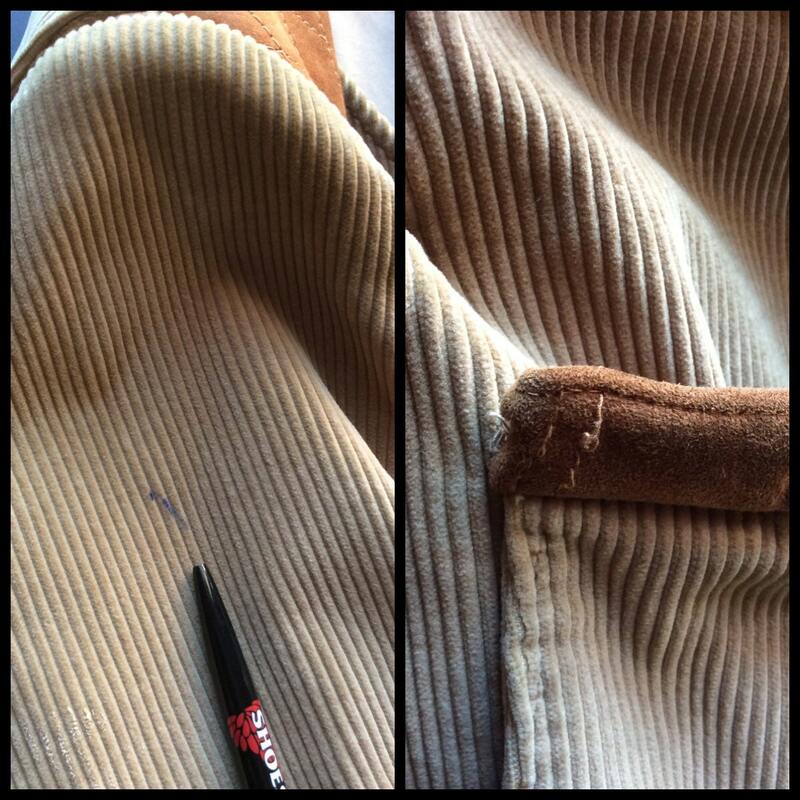 Some stitching has come undone on the right pocket. Otherwise it's in excellent, very used condition. 37.5" sleeve measuring from the center of the neck to the shoulder, then down to the end of the cuff.